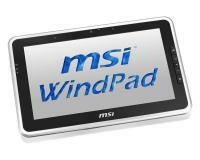 MSI Windpad 100W specifications, info. (Model: 100W) Specifications, images and news. The Windpad 232W version (available in Europe) comes with Windows 7 Home Premium, Bluetooth. MSI Windpad news and review links.